Finding an online course for an older version of Microsoft PowerPoint can be difficult. Often these courses are simply updated for a new release, and those who are still using PowerPoint 2013 can find themselves helpless to search for more advanced features. Whether you are well-versed in PowerPoint or a beginner, these courses will provide you with everything you need to make effective presentations and high-quality visual aids. PowerPoint is a simple tool, yet with a few tricks and techniques, it can produce professional and engaging presentations. PowerPoint is a presentation program that is part of the Microsoft Office Suite. It is a visual aid tool that allows presenters to display videos, text and pictures with a huge range of customizable features. You can also link it to Microsoft Excel and include spreadsheets and charts. Like many other programs, it is easy to lose track of some of the more advanced features. If you feel you are under-utilizing this great tool, you aren’t alone. Taking an online course for PowerPoint 2013 is a great way to brush up on some old skills, or learn some new ones. Each of these courses will receive a star rating between 1 and 5 stars, a 5-star rating being the highest a class can receive. We take this rating from the student reviews of each course, where available. It also takes into account professional reviews, cost, quality and flexibility of the classes. Each class on this list is from a different online learning platform, so the various learning tools will also affect the rating. After the list of top courses, check out the buyer’s guide. It will explain some of the key features to look for in an online course, as well as some helpful questions to assist your decision. Whatever course you choose, be confident in knowing that you have selected one of the top online courses for PowerPoint 2013. If you are looking for expert level training on Microsoft software, Custom Guide has a wide range of courses available to you. 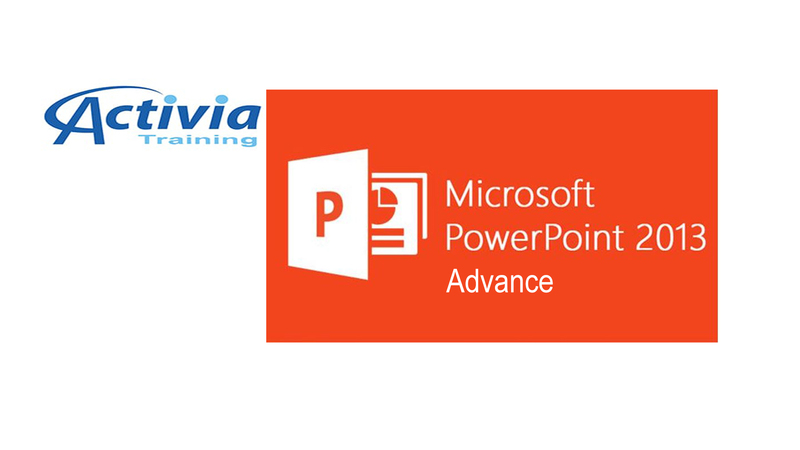 The PowerPoint 2013 training course provides interactive lessons designed to help you get the most out of PowerPoint. The focus is on quality presentations, and this course can help you find the right tools to help your presentation run smoothly and professionally. There are training manuals, quizzes and interactive tutorials included with this course. However, the pricing varies, and you have to contact Custom Guide if you wish to receive pricing. This is due to their clients. Custom Guide generally works corporations, rather than individuals. For that reason, the course gets a 4.0 out of 5 stars when looking for a class you can take on your own. This tutorial takes you through all of the options and abilities of PowerPoint. It is one part of a series on the entire Office Suite, and you can also receive this training for the 2016 version of PowerPoint. You will learn how to select a theme, create a presentation and understand some of the unique features of the 2013 version of PowerPoint. Learning Computer offers distance training on dozens of IT topics. It partners with companies like Microsoft to provide the most relevant training techniques. This tutorial comes in the form of a CD or download, both of which cost $9.99. 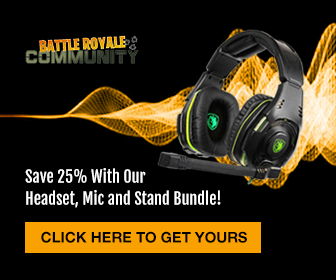 This reasonable price reflects the lack of interactive features and live support. For these reasons, the course receives a 4.0 out of 5 stars. This course focuses not only on the creation of a PowerPoint presentation but also on sharing these presentations with other users with file sharing and collaborative tools. The lecture is just over 3 hours long, and it covers the content in an engaging and friendly tone. LinkedIn Learning connects business experts with students around the world in order to provide excellent skills-based training. This online platform offers a free month trial subscription, which would effectively make this course free. However, after the month, it costs from $29.99 monthly or $24.99 per month for a year’s subscription. This course receives a 4.0 out of 5 stars. While it is engaging and informative, with exercises, the course does not feel interactive. It is also from 2013, so it is an older course. Take a one-day intensive and gain all the skills you need for PowerPoint presentations. 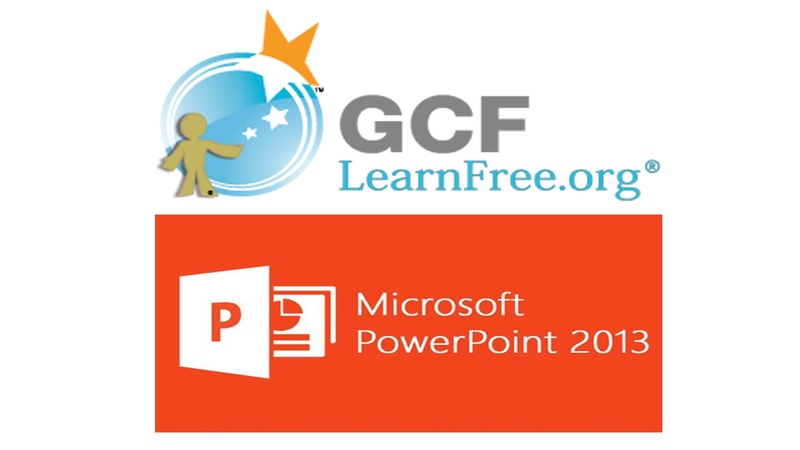 This course gives you all the training you need for PowerPoint’s many tools, and also includes free revision after the class. You will learn everything from inserting photos to advanced presentation techniques. Activia Training is a UK-based company that offers a variety of courses at their campuses across the UK. 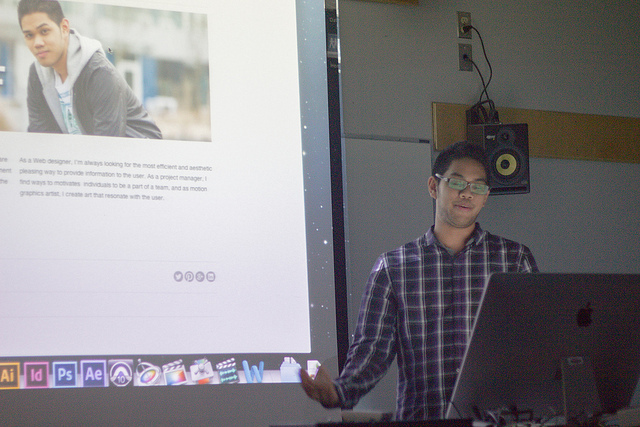 However, they also provide online training for many of their classes, including PowerPoint Advanced. This course is rated 4 out of 5 stars. Prices vary depending on a few options, but the online course begins at $95. This does include extra training and resources, but overall is a bit expensive for a class that isn’t as hands-on as some of its competitors. 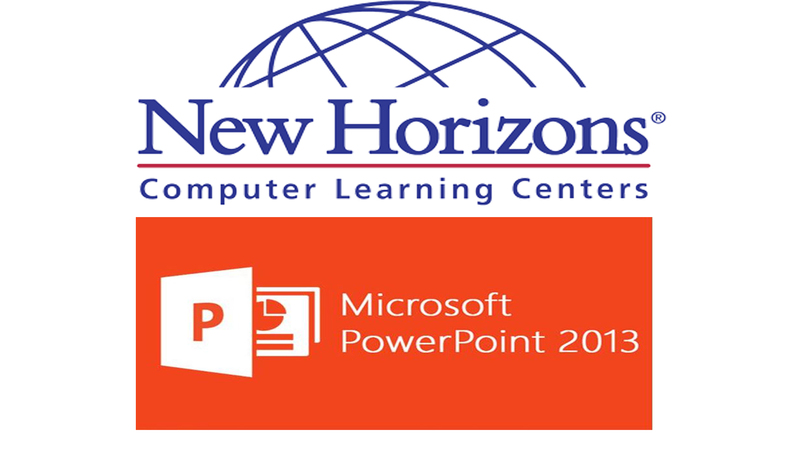 New Horizons offers a course to learn all the professional tips and tricks of PowerPoint. The course ranges from formatting and organizing to integrating other Microsoft files into your PowerPoint. Expert instructors teach this class, and it partners with Microsoft and other professional IT companies. This course can give you access to one-on-one training with a mentor. However, it is for PowerPoint 2016. The updated version is slightly different than PowerPoint 2013, which can cause some confusion and incorrect instruction. For that reason, this highly-rated course only receives 4.5 stars out of 5. What better way to start your training than with a free course? It’s hard to pass up a free option, and thankfully, GCF offers a class that is not only free but also of excellent quality. 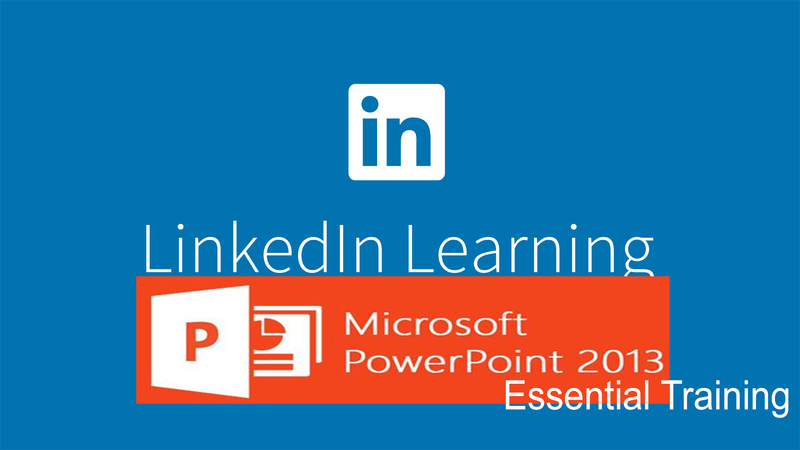 This course is separated into 32 conveniently sized lectures, and it takes you through every tool on PowerPoint 2013. It even offers a bonus course on embedding Excel sheets. Once you go through all the lectures, you can take a quiz to test your knowledge. GCF has a mission to provide free courses in essential skills to individuals worldwide who are in need of additional training. They offer comprehensive courses dealing with everything from math and science, to email and Microsoft Office. The classes are completely free and self-paced. They do not, however, provide any kind of certificate of completion. The price and flexibility, as well as breadth of knowledge, give this course a 4.5 out of 5 stars. 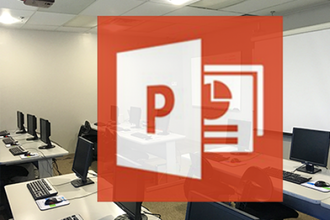 A comprehensive, engaging and self-paced course, Learn Microsoft PowerPoint 2013 the Easy Way provides all the skills and training that you need in a hands-on, interactive environment. This course contains around nine hours of lectures, but it also includes additional articles, assignments and bonus videos. The company Simon Sez teaches this course. It has an international student base and is very highly rated. The course will take you through professional presentations and show you how to use PowerPoint’s tools in a hands-on way to create your own presentation, including a background from scratch. Udemy offers thousands of interactive courses featuring engaging lectures, interactive assignments and a certificate of completion for every class. This course costs $74.99, but Udemy often runs promotional deals to receive the course at $9.99. Once you purchase the course, you have lifetime access to all of the materials. If you decide the course isn’t worth your investment, you also have a 30-day money back guarantee. This course deserves a 5 out of 5. If you don’t want to pay, but still want an expertly delivered course, then Coursera has the perfect option for you. This introductory course is self-paced and free. It deals with storytelling, slide construction and tips and tricks for successful presentation skills. This course also includes some basic knowledge of Microsoft Excel, which it uses to add charts in your presentation. Coursera provides free online courses from top-tier universities and highly successful business. Each class is part of a larger specialization, which typically includes 5-6 courses. Introduction to PowerPoint (2013) is part of the larger Data Analysis and Presentation Skills: the PwC Approach Specialization. In this group of classes, you will gain skills not only in PowerPoint but also in other areas that will increase your ability to provide excellent presentations. After you complete all the courses and pass the online quizzes, you have the option of purchasing a certificate of completion for the specialization. If you do not wish to be certified, you can take all of the courses and quizzes and watch all of the lectures completely free. This course is taught by the company PwC and is rated 5 out of 5 stars for its quality, flexibility and price. Now that you have reviewed a list of the top seven best online courses for PowerPoint 2013, here are a few areas to consider before choosing your class. Each one has areas of strength and weakness, and it is important to carefully consider which course best suits your needs. Are you gaining skills for work or a hobby? Determine what your goals are for an online course in PowerPoint. While some courses offer expert instructors and certifications, they generally are not free. Compare the skills and tools learned in the free classes, and decide whether the professional expertise and certificate are worth the added expense. Some courses consist of filmed lectures and online quizzes, and some have live one-on-one instruction. Do you need interaction to learn best, or can you follow a lecture to gain the skills you need? Think about the amount of energy and creativity you will want to utilize for your course. Does a one-day intensive sound convenient, or would you rather take a few hours a day for several weeks? Depending on your schedule, some courses will be more accessible for you. Look over your schedule and decide how much time you are willing to commit to a PowerPoint course. This could also be affected by your learning style. Some shorter courses go over material much more quickly, with fewer examples. Longer courses may belabor the same point and feel overly repetitive. Depending on your schedule, you may not have the time to commit to a full day of intensive training. This makes certain courses much more attractive, due to the flexibility in scheduling. If you need the freedom to work at your own pace, choose a course that offers that ability. However, if you need something with a bit more structure and stability, there are courses with start dates, due dates and a suggested timetable for all of the lectures and assignments. Are you looking to learn the basics of PowerPoint, or do you need an in-depth guide to become an expert in this software? Some courses go into the fine detail of each tool, while others focus on the end product and allow you to make a great presentation with as few features as necessary. If you are going to use PowerPoint extensively in your career, it is a good idea to choose a course that is more comprehensive. However, if you are only using PowerPoint occasionally, or do not have the time to commit to extensive training, consider a course that offers a more general overview of its many features. 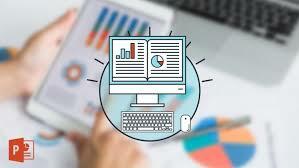 Regardless of your decision, be confident that you have chosen one of the best online courses for PowerPoint 2013. Whether you are using this version by choice or necessity, you can be satisfied that PowerPoint 2013 can still deliver an exceptional, professional presentation with just a few tips and tricks.